As Labour's Environment spokesperson on Dundee City Council I have called on the UK Government to rethink its plans for solar power. The UK Government's plans have been ruled as being 'legally flawed'. The changes to the plans has resulted in proposals to use Dundee City Council properties to generate electricity being abandoned. This legal decision shows the folly of the UK Government's plans. However, this legal decision gives the UK Government the chance to think again, I urge them to do just that. I hope that a rethink might allow the plans for Dundee to be revisited and I would hope that this innovative scheme might be up and running before too long. The scheme proposed for Dundee would have been good for the economy of Dundee, good for tenants in Dundee and good for the environment in Dundee. I was pleased that the City Council agreed a response to the UK Government consultation on feed-in tariffs this week. It is important that we use any opportunity that comes along to produce cost-effective renewable energy. I agree with my Labour colleague Caroline Flint that the UK Government must think again on this important issue and do what it can to sustainably support the solar power industry. On Wednesday I attended a meeting of the Tayside Fire and Rescue Board. The meeting of the board looked at the issues around the board's reserves policy. This meeting was followed by a similar meeting of the Tayside Police Joint Board, which looked at similar issues with regard to the police service. On Tuesday evening I was really pleased to be able to get to the Harris Academy Christmas Concert which was held at Logie & St John's (Cross) Church. I really like the mix of the traditional nine readings and carols with the modern musical interpretations of some Christmas classics. This is a great event which is enjoyed by the school community and others. I also enjoyed the hospitality offered by the school's PTPA in the hall after the concert. Harris clearly has a great many talented students and I would like to say well done to them and to everyone who helped them prepare for the concert. I have said before that there is a need for greater bus regulation but I am calling for it again. Yesterday Dundee pensioners complained about the bus service over the Christmas and New Year period and a report from the Competition Commission was published which has suggested that across the UK there is a lack of competition in the bus market. People expect the local bus service to be just that - a service. Unfortunately bus companies are run to try and make a profit. In the West End we have seen changes which have made the service poorer for people who live in the Tullideph, Pentland and Ancrum areas, many of these people are elderly. We have also seen how difficult it was to get a suitable service between the West End and St John's High School. The Competition Commission issued a report yesterday which highlighted uncompetitive nature of the bus industry across much of the United Kingdom. The solution to these problems in my opinion is the introduction of a much greater level of regulation in the bus industry. I have absolutely no difficulty with bus companies making a profit, but I do think that they should be made to deliver a service which meets the needs of the people they serve. In order to operate in Dundee, for example, the council should be able to ask them to deliver a certain level of service which meets social needs in the city. In my mind this would include things such as ensuring good services to schools and hospitals and areas with large elderly populations but would also include things like services on Boxing Day. As Dundee Labour's Environment spokesperson on Dundee City Council I have called for the City Council to look for new ways to promote renewable electricity generation in the city. This came as the council's Policy and Resources Committee debated problems caused to plans for photovoltaics on council property due to changes in the feed-in tariff from the UK Government. I welcome the report which was put before the committee on Monday evening which highlighted that the proposed scheme cannot go forward as a result of changes made to the feed-in tariff by the UK Government. I supported the proposals when they were first brought forward and I am very disappointed that the UK Government has made this pre-emptive strike against the scheme. The council is right to make its voice heard to the UK Government calling for a re-think of the policy. I accept that changes made by the Conservative-led UK Government make it difficult for this scheme to continue. However, we have missed out by being slightly late in the game and we need to ensure that this does not happen in the future. We need to look for new ways to maximise green renewable energy generation in the Dundee. We should not just sit back and heckle from the sidelines though; we should be calling on officers of the council to continue to look for innovative, cost-effective schemes which would encourage renewable electricity generation in our city. This would be for the benefit of all the people of Dundee, as it could deal with fuel poverty and cutting the city's carbon footprint. I am pleased that the Administration saw sense tonight and accepted my amendment. This is a common sense way forward. This is what I was looking for and is a means of allowing me and my colleagues to put the interests of the city first, before any minor party consideration. Labour in the House of Commons has been campaigning against the plans for changes to the feed-in tariff. Somewhat belatedly I would like to congratulate Johann Lamont and Anas Sarwar on their elections as leader and deputy leader of the Scottish Labour Party. I am particularly pleased as I supported Johann and Anas as did Dundee West Constituency Labour Party. However, I would also say that I think that the contest has been good for the party. I think that all of the candidates have had something to offer. It seems that Johann doesn't need this advice as she has included the leadership contenders in her team, but each of them had interesting things to say about how Labour got into the position which it is in and more importantly how we can get out of this position. I was very impressed with Johann's acceptance speech which you can see by clicking on the picture. It is clear that Labour needs to change and needs to listen to the message people gave us in May this year. I was delighted that in this morning's Courier Johann has spoken of the need for Labour to be the party of all of Scotland. We must aim to win back both Dundee City West and Dundee City East, if we want to form the government of Scotland we will have to. I am also clear that Scottish Labour should have the policies which appeal to the people of Dundee and we need to work on this. I would offer as a starter that we should focus on fairness or social justice. Social justice is what Labour should be about. We should respect our opponents but also be clear that changing the flag flying over us will make no difference to the lives of the Scots we seek to serve. We should have as our priority making Scotland a fairer country in a fairer world. We should not get involved in a bidding war on policies; we should stick with what we think is right and argue for fairness and social justice. I am also pleased to see Johann's Shadow Cabinet team emerging and I am delighted that my friend and colleague Jenny Marra has been given a job as the Community Safety and Legal Affairs spokesperson. I would also like to thank Iain Gray for his service as Labour's leader. Clearly Iain's time as leader didn't end as he (or I) would have hoped but there is no doubt that he worked incredibly hard in that role. He was very supportive of me as the candidate in Dundee City West and I will always be grateful for that. I am sure that Iain will have much to offer Scottish public life in the future. 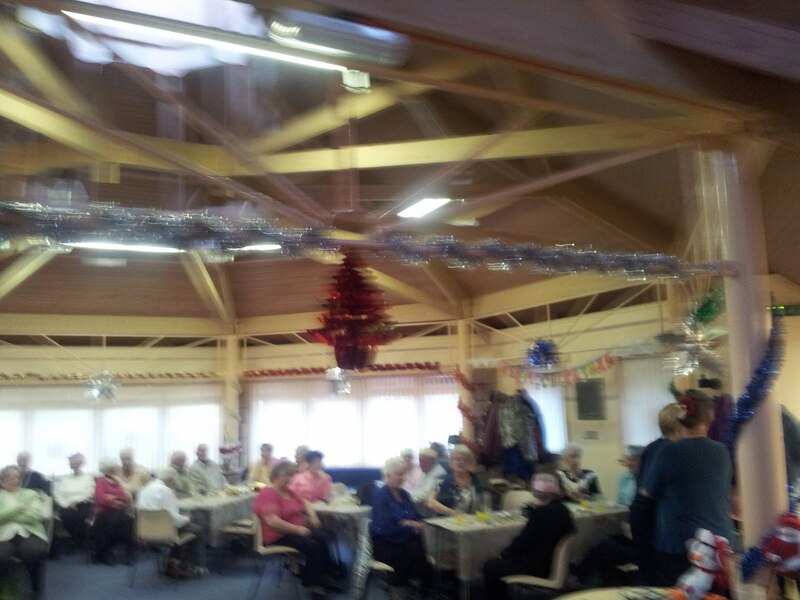 Today I had the pleasure of briefly dropping in on the Christmas Party at Corso Street Sheltered Housing Complex. It was great fun and it was good to see so many tenants enjoying a Christmas party together. As the local councillor I was pleased to see the excellent work of the wardens who made the event possible for the residents. I was also able to show that I should have listened more at school when we did Scottish country dancing or social dancing (we always wanted to play football - but I'm not very good at that either!). I did manage to stumble through the St Bernard's Waltz. I studied the history of Dundee for my PhD, this meant, bizarrely, that I had to spend months at the British Newspaper Library at Colindale in north London. There is a marvelous collection there which includes some Dundee newspapers which are not available in Dundee. I certainly enjoyed my trips to London and I have nothing but praise for the staff at Colindale. Not sure that the trips on London Underground's Northern Line deserve praise though. There is now a really exciting project underway which will digitise the newspaper collection. For me the most exciting part of this project is that it is being done by a company based in the West End of Dundee, brightsolid. This is a really interesting project and it is great that it has been developed in Dundee. It is great that a Dundee based company is delivering such an important national, even international, project. You can visit the British Newspaper Archive here, there is a cost involved in most searches but this will be a great service for historians in the future. There is actually a great collection of newspapers available in the local history library in the Central Library in the Wellgate in Dundee. Well done to everyone concerned with this great project. My Labour and Co-operative colleague Stella Creasy MP has been running an excellent campaign to End Legal Loan Sharking. This is a campaign that I strongly support. 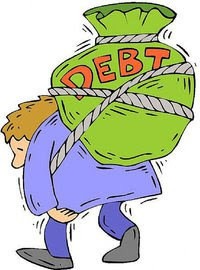 Independent research by R3, the insolvency body, shows that one in six of us are now what they call 'zombie' debtors, able only to service the interest on our debts, but not reduce the debt. 45% of people in the country are now in financial difficulties - amongst young people this figure rises to 62%. People in financial difficulty are being bled dry by the legal loan shark industry with interests rates of 1700% or more. R3 research suggests that in the next six months three and half million Britons expect to take out a payday loan. In an unregulated credit market, the research shows just how financially dangerous this is, revealing 32% of those who took out a payday load couldn't pay it off, so had to get another one. This is not just bad for these families, but bad for Britain. As more and more household income is sucked into paying interest on these loads so the public are left with less money to spend, hurting an already anaemic economy. You can read more about Stella Creasy's campaign here. Stella's campaign in the House of Commons has little chance of success unless pressure is put on MPs and the UK Government to support her plans for a bill which would regulate the credit industry more and limit interest rates. You can sign a petition to the UK Government asking that they take action to deal with Legal Loan Sharks. People who have debt problems in Dundee should contact the Citizens Advice Bureau. I would recommend saving and borrowing from the local credit union Discovery Credit Union. I hope that the UK Government listens to Stella Creasy and the many many people supporting her campaign to tackle Legal Loan Sharks and take the burden of debt off of people struggling to make ends meet. We are in the middle of the 16 days of action against violence against women. There is no excuse for violence against women, ever. I have made the pledge and I would urge others to do so. I support the work of White Ribbon Scotland. I was pleased that Dundee United and Celtic players wore white ribbons on their shirts during Sunday's match. While this is merely a symbolic gesture I hope that it will have made some of those watching think about their relationship towards violence and their attitude towards women. We can make our society a better society if we all take our responsibilities seriously and ensure that we are never complicit in condoning violence. I was delighted to bump into Shelter Scotland's campaign team in Dundee today. They were campaigning on their 'No room at the inn?' campaign. In Scotland 5,800 children will spend Christmas in B&Bs or temporary flats, most of them will still be there at Easter. I will contacting Dundee's housing department to find out what they do for children in temporary accommodation. I am lead to believe that Dundee deals well with this issue but I will be seeking reassurance. You can find out more about the campaign at Shelter's website, you can also sign the petition here. 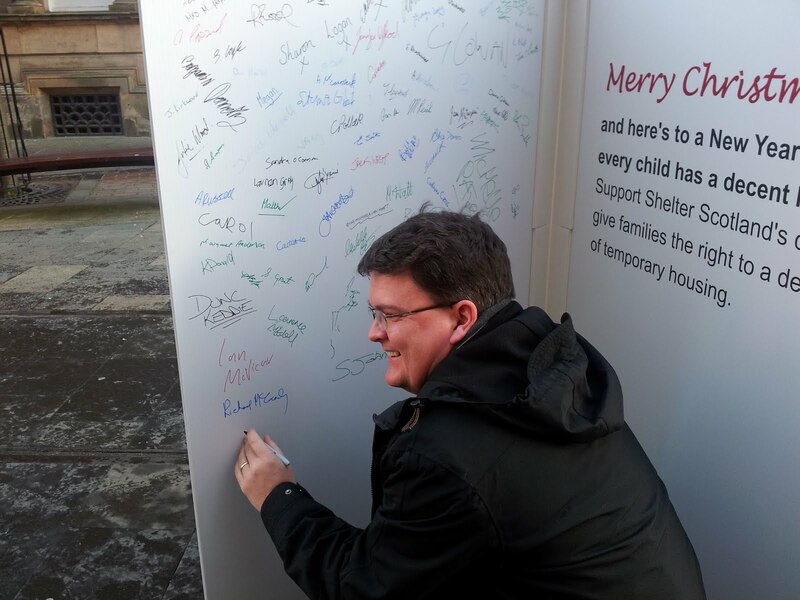 I was pleased to sign the big Christmas card today in Dundee and you can see from the picture on the right me signing the Christmas card. It is really important that we do all we can to provide the best start in life to every child, decent housing plays an important part of providing the best start possible. I was disappointed to hear that Gamesa has decided not to locate jobs in Dundee. It is important that every effort is made to bring jobs to the city. Like my colleagues I want to do all I can to ensure that jobs are brought to our city. We need to ensure that all agencies are working together to put the best case for the city and deliver jobs. I know that the Labour Group on the council is prepared to work with all sorts of partners to make every effort to bring jobs to the city. I think that the BBC's Douglas Fraser has a very interesting take on this. 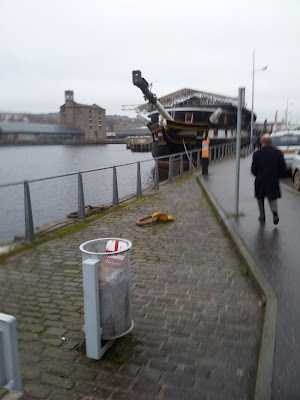 I do think that Forth Ports need to put in a bit more effort to attract jobs to Dundee. Dundee has a great deal to offer and I think that all of us with the city's best interests at heart must work together to deliver jobs and investment opportunities in our city. Jobs must be the top priority for all of Dundee's politicians. The end of last week saw some great Christmas events. 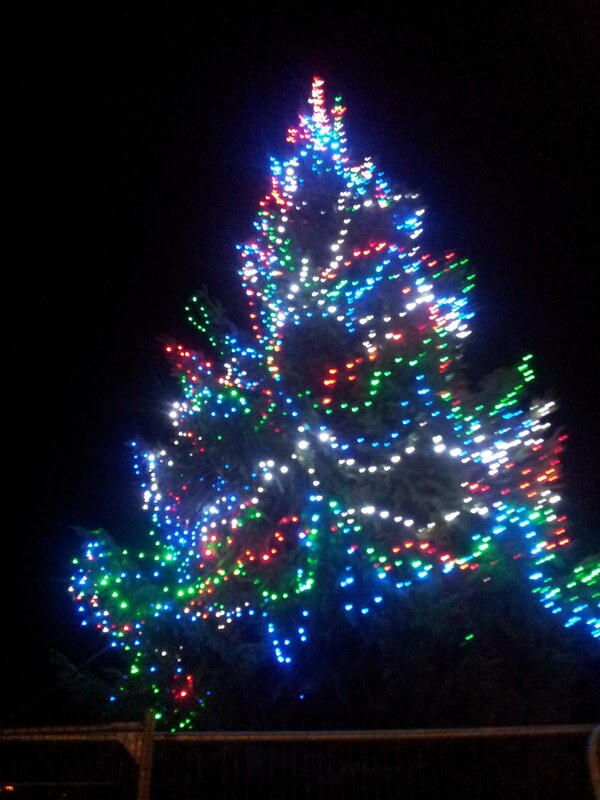 On Thursday evening was the Christmas concert and the switch on of the Christmas Lights at Seabraes. It was great to see and hear pupils from Ancrum Road, Blackness, Park Place and St Joseph's Primaries take part in the concert. I have to declare an interest as a proud parent that my daughter was in the St Joseph's choir. It was great to hear pupils from Harris Academy also performing, and see dancers from the Russian School. I was delighted to hear the excellent Sheena Wellington singing as well. Sheena switched the Christmas Lights on. The very poor quality video shows the lights being switched on. On Friday evening I was pleased to be present when some young people from West End schools switched on the Christmas lights at the Westport. This is a great part of the West End with some really good individual shops that need to be supported in these days of corporate takeovers of our High Streets. 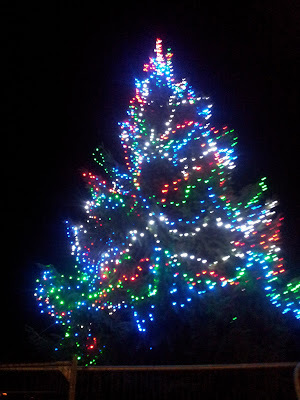 The picture shows the tree at the Westport after the lights were switched on. On Saturday I was able to get along to the packed Christmas Fayre at Blackness Primary School. This was a really good event and demonstrated the excellent work done in the school by the teachers but more especially by the pupils I bought some homemade Christmas decorations which will enhance my tree this year. I was also delighted to buy a copy of the Parlour Cafe Cookbook which was being sold on Saturday in aid of school funds. The Parlour Cafe is in the Westport and is exactly the sort of place I was talking about before. I was delighted to hear about the work of a new publishing company based in the West End which will be publishing more on food in the future, I'd like to wish the Kitchen Press all the best. Well done to everyone involved in Blackness Primary's Christmas Fayre, I hope that it made a lot of money. West End Christmas week was a great success this year and I would like to thank everyone involved in making it happen this year. Today is World Aids Day. I think that it is crucial that we do all we can to prevent and hopefully cure or eradicate this terrible disease. I have emailed David Cameron today asking the UK Government to give finding a cure for AIDS a top priority. This campaign was brought to my attention by ACTSA, the successor to the Anti-Apartheid Movement, ACTSA are part of the Stop AIDS Campaign. It is also important to do all we can to prevent AIDS in the UK. On Wednesday I was pleased to be joined by thousands of others to march through the streets of Dundee to show my opposition to the changes to many public sector workers pensions. It was good to see so many people on the demonstration. It was disappointing that the demonstration was necessary. Dundee West Constituency Labour Party unanimously made their views known about this issue. You can see the statement which they supported here, you can read more about the unions together campaigns here. I am sure that there were people present yesterday who were tak ing part in their first demonstration. It is clear that right across the country people were supporting this campaign. The Prime Minister described Wednesday as a 'damp squib', I beg to differ. I hope that there is a negotiated settlement which allows all workers dignity in retirement. I support a fair pension and dignity in retirement for all workers, whether in the public or private sector. I hope that the Tory-led UK Government and the SNP-led Scottish Government, along with local government recognise that dignity in retirement and a fair pension are important. The video here shows the extent of the march which takes 12 minutes to pass a given point, you can see the Dundee Labour Party banner at around 10 minutes into the video. On Wednesday 30th November my regular surgery at Blackness Library will not take place due to industrial action by staff at Leisure and Culture Dundee. Tonight I was at a meeting of the board of Dundee Rep. It was really good to hear about the plans for the spring programme which will include amongst other things, Scottish Dance Theatre, Steel Magnolias, and The Tempest. The Christmas Show Cinderella starts this week and I am sure that it will be well worth a visit. The Christmas production is always worth going to and is a real treat for all the family. Click on the video to see a trailer, unfortunately too late to book and get a free ice cream as promised in the trailer. Today I attended a meeting of the Project Board for the new Olympia Swimming Pool. It was good to hear about progress on delivering this important project. I look forward to this project started under Labour being delivered. I was delighted that the City Council put party divisions to one side tonight and supported plans to work towards bringing the National Football Academy to Dundee at the Policy and Resources Committee. The case for bringing this to Dundee is strong and it is important that the Scottish Government distributes facilities across the country. My colleague Jenny Marra has led the way with her campaign to bring the National Football Academy, you can sign the petition here. It was great that politicians put party differences to one side and supported this petition which calls on the Scottish Government to bring the National Football Academy to Dundee. Like my Labour colleagues I am prepared to work with anyone to ensure that this facility comes to Dundee. 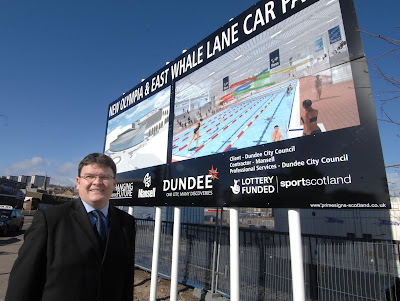 It is important that from time to time elected representatives in Dundee put the interests of city first and leave party labels behind and join together to put Dundee first. Tonight saw meetings of the Education, City Development and Policy and Resources Committees. At the City Development Committee there were some interesting reports but I was disappointed that the report which proposed reduced speed limits on various roads including Riverside Drive was withdrawn. I am led to believe that this report will be re-submitted to the committee in the near future. I hope that this is case and I hope that road safety is the top priority in this policy. 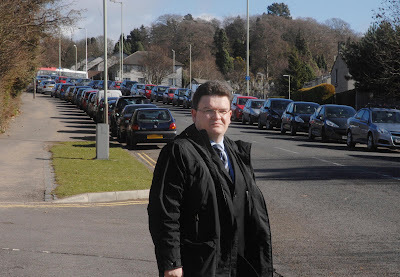 I have raised my concerns about the proposals for Riverside Drive and I was worried that the police had raised concerns about their ability to effectively police a reduced speed limit. I am seeking further briefings on this important issue. At the Policy and Resources Committee I was pleased that the council has been able to offer at least a year of support for the Whitehall Theatre. The Whitehall Theatre provides a great venue for a wide range of performers from comedians to amateur dramatic societies. I will be keeping a close eye on progress and hoping that this sets the Whitehall Theatre up on a more secure footing for the future. Saturday morning saw the launch of the West End Christmas Week at the Community Fayre at Dundee West Church. The fayre was really good with lots of local organisations taking part. Also in Dundee West Church today there was a coffee morning, it was good to see so many local people at this great community event. West End Christmas week continues this week, with the highlight being the Christmas Concert and Light Switch on on Thursday night starting in Dundee West Church at 6pm with the light switch on at 7pm. 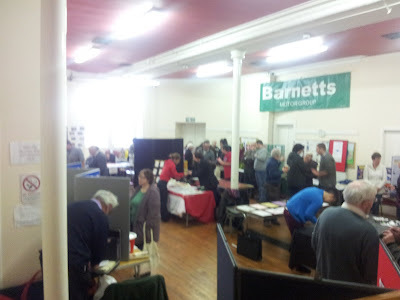 The photograph shows the various stalls at the community fayre. Tonight I joined thousands of others in the centre of Dundee for Christmas Light Night. The new Christmas Lights in the City Centre appear to be an improvement on the old lights, which were starting to show their age. I do have an issue with celebrating Christmas in November but I recognise that I'm fighting a bit of a losing battle on that one. This is a great community celebration with many families present in the city centre. 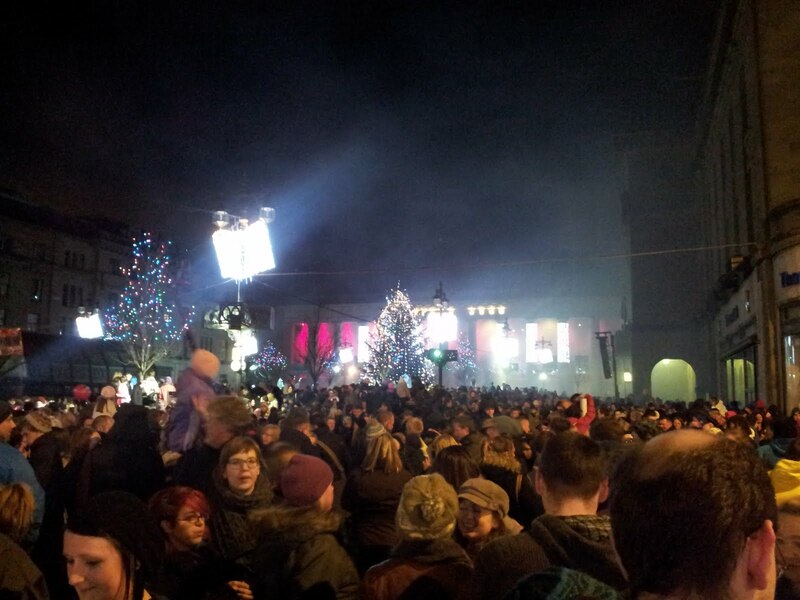 The picture here shows the City Square and the vast crowds just after the Christmas Lights were switched on. It is great that the community can come together in this way and demonstrates that Christmas is about more than consumerism. As I said earlier I am pleased that the council has recognised that t his is a celebration of Christmas and not some 'Winter' festival. I was pleased to see a large crowd gather at the Steeple Church to watch the 'Dundee Nativity'. This was very well put together and I would like to thank all those who were involved in putting it together. This was a very good production with not one but two donkeys having a walk-on part. 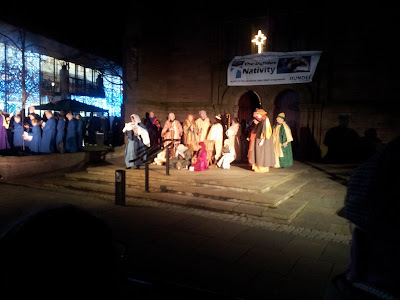 The picture shows the 'nativity' scene. I am looking forward to the Christmas Lights being switched on in the West End after the Christmas concert at Dundee West Church next Thursday. This will be another great community event. 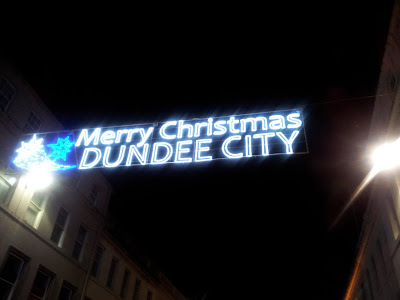 Tonight sees Dundee's Christmas Lights switched on, yes that's right Christmas Lights not Winter Lights. I am pleased that after a daft year of calling the celebrations 'Winter Light Night' the council SNP Administration saw sense last year and called the celebration by the name by which it should always have been known, Christmas Light Night. I am looking forward to tonight's event and I hope that the weather stays fine, (Fingers crossed!) There is something for everyone tonight and I know that families will really enjoy the event. You can download a full programme from here. A number of constituents raised their concerns with me about the fact that the lift at Dundee Station has been broken for a number of days. I am disappointed to see that the lift at Dundee Station has been out of order. I understand that passengers who need to use the lift have to use the parcel lift, this mean that they have to go outside of the station to get to this lift. This is unacceptable in the modern day, obviously it is always possible for a lift to break down but the alternative must be much better than the one available today. It is not right to treat the disabled or parents with children in prams as second class citizens. 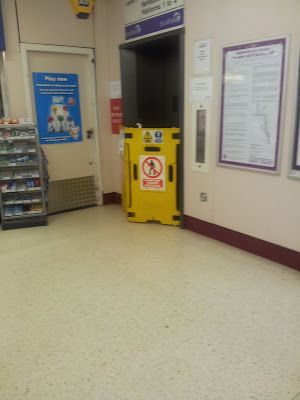 I will be contacting Scotrail to find out what they are doing about the lift in the station. I think this makes the point that Dundee Station needs to be refurbished much more eloquently than I can. We need a modern station which meets the needs of Dundonians and visitors to the city. I will be making this point as strongly as I can in my response to the Scottish Government's consultation on the future of the rail network in Scotland. Monday evening saw the November meeting of the Development Management Committee. There was a pretty light agenda for this meeting. The application for a bistro and take-away at the White Horse Pub created some controversy with one councillor being ruled out of order over his questioning, eventually the application was rejected. On Monday morning I attended a meeting of the Performance Monitoring Sub-Committee of Tayside Fire and Rescue Board. This sub-committee looked at the work of the internal auditors of the Fire and rescue Board. I asked a question about fuel security in the fire service, the details I asked about can be found on page 9 of this document. I was pleased to be told that there were no concerns over theft of fuel. The concerns are over an IT system designed to monitor fuel usage which was meant to save time and be more accurate but which is not fully operational yet. This is disappointing but I was reassured that there was no suggestion that fuel was going missing. 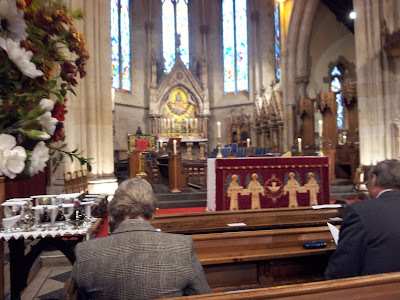 On Sunday I attended two church services, the first was at St Andrew's Cathedral in the Nethergate and was the Mass for the Feast of Christ the King, the second was at St Peter's Free Church in St Peter's Street and was the annual worship service for the Dundee Evangelical Christian Alliance. In ecclesiastical terms these were quite diverse events, yet interestingly shared much. 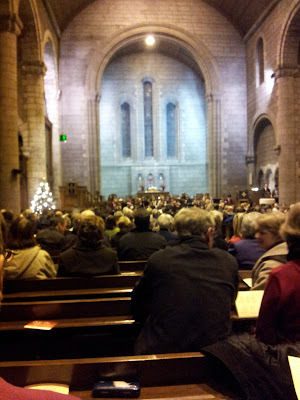 The music at both services was superb, each in their own way. Both services thanked those who serve in public office, for my part I very much appreciate that. I like what I do and don't do it for thanks or praise but try to do what I think is right and do my best. But it is nice to be thanked from time to time. Whether your motivation is religious or not Bishop Vincent is absolutely correct that something needs to be done about poverty. Poverty needs to tackled both in Dundee and right across the world. Tackling deprivation and inequality is what I want to do in politics. The service at St Peter's Free Church heard about some of the practical work being done by churches and faith based groups in Dundee to tackle problems like poverty and the often related problems of drink and drug addiction. The main speaker Os Guinness spoke on service and on how important it was to serve. I think that interestingly both messages are linked in that those of us in public office are called to serve the poor and the needy. This is certainly something that I try to keep in my mind in my work serving the people of the West End. Bishop Vincent Logan has announced his retirement and will soon be replaced as Bishop of Dunkeld I would like to wish him a long and healthy retirement when it comes. The minister of St Peter's Free Church, Rev David Robertson is currently ill, I would like to wish him a full recovery. I would like to thank all those who gave me such a warm welcome at these services. On Saturday I spoke at the Scottish Co-operative Party's Campaign Convention. The focus of the event was on local government. I was also pleased that the event was co-sponsored by SERA, the Labour environmental campaign. The Co-operative Party has some great ideas for local government. I hope that in Dundee we will be able to implement some co-operative policies after the next election. CO-operative policies are about empowering local people whether they are service users or employees. It is important our local policies for next year's election include co-operative policies. 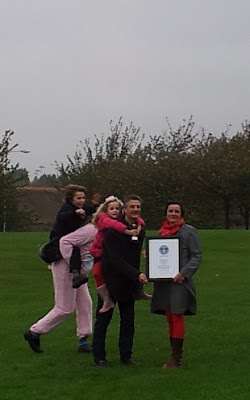 Next year has been designated by the UN as the International Year of the Co-operative. So 2012 is an important year for co-ops. Last Friday I was very happy to take part in a Question Time style panel at the School Leaders Scotland Conference in St Andrews. I have to say that I admire those who serve in leadership roles in our schools. There were some really testing questions. In many respects the most important one was about how to tackle deprivation. It is important that councils and others work across all 'silos' to tackle the scourge of deprivation in our community. We cannot expect schools and teachers to find solutions to these very difficult issues. Eradicating deprivation is the reason why I am interested in politics. Eradicating poverty and allowing everyone in the country to achieve their full potential is crucial to the future of our country. On Thursday of last week there was the quarterly meeting of the West End Local Community Planning Partnership. The meeting looked at a number of interesting items, not least the West End Community Plan. The local police also outlined the work which they are doing to try and catch the vandals who are smashing headstones in Balgay Cemetery. Tayside Fire and Rescue highlighted their success in bringing down the number of problems caused on Bonfire Night, this is a particularly good piece of partnership working where a variety of organisations work together to effectively deal with a problem. The main item was probably another presentation on proposals for a park and ride scheme to the west of Dundee. I would be grateful to hear local people's views on whether there is a need for this and whether the proposed locations would be good or not. As I said yesterday I think that the proposals contained in the SNP Government report on the rail service in Scotland contain some very worrying ideas. I am particularly concerned that the proposals will lead to more changes of train and fewer direct services to Dundee. I think that having to change trains would have a detrimental effect on the attractiveness of coming to Dundee. The V & A at Dundee will make Dundee a major destination, a poor train service will not allow our city to capitalise on this potential. We should be doing all we can to develop train services for Dundee not making them worse. I want good services linking Dundee with the other cities in Scotland and with major cities in England and Wales. I also want to see good local services and have called for the Tay Estuary Rail Study to be implemented giving more services along the Tay from Montrose to Perth. Good rail services are important for the economic development of our city. Good rail services are important in attracting visitors to our city. Good rail services are important as this would be good for the environment. Please support Labour's campaign to protect Scotland's railways. Transport Scotland today published a consultation on Rail 2014. I have been campaigning for better rail services for Dundee since I was elected. I will be reading the consultation and will be looking to respond to the consultation making the case for better services for Dundee. I would be keen to hear your views. I will certainly be making the case for improvements to Dundee Station and also calling for more services to call at Dundee. 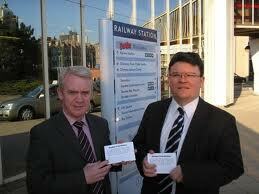 The photograph shows Jim McGovern and I campaigning for better rail services in Dundee. My colleague Lewis Macdonald MSP has highlighted a number of concerns. I think that these concerns which are outlined below could have a particularly poor impact on passengers in Dundee. A good railway system is important for Dundee's economic well-being. With the V & A at Dundee we should be looking to attract visitors by rail from all over Scotland and from England and Wales. I think that forcing passengers to change trains more would make Dundee a less attractive option as a destination. On Friday evening Dundee West Constituency Labour Party held a nomination meeting to give supporting nominations for the Scottish Labour Leader and Deputy Leader Contest. 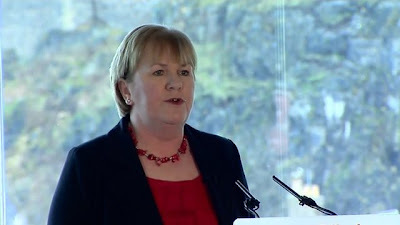 The local party decided to support Johann Lamont for Leader and Anas Sarwar for Deputy Leader. As a local councillor I also have the chance to make a supporting nomination, I have decided to give my support to Johann and Anas as well. I have worked with Johann over the years and have seen at first hand her commitment to social justice and equality. I have worked closely with her on promoting the co-operative agenda. I have known Anas Sarwar for a number of years and I have been impressed by his commitment to rebuild our movement. All six candidates offer something to the Scottish Labour Party and I would be happy to work with any of them. I look forward to working with all of them in the future. The important point for the Scottish Labour Party is to elect a Leader and Deputy Leader, develop a policy platform and an organisational structure to fight and win elections, starting with the council elections next May. This is Alcohol Awareness Week from 14th to 20th November, to find out about work in Dundee click here, and today 15th November is the 89th anniversary of Edwin (Neddy) Scrymgeour's victory over Winston Churchill in the 1922 General Election in Dundee. It is clear that Scotland, Dundee included, has a difficult relationship with alcohol in the twenty-first century. Unfortunately, in some respects little has changed since Neddy Scrymgeour advocated prohibition in the early part of the twentieth century. Scrymgeour's solution, Prohibition was tried in the USA and proved to be impractical, however perhaps we should see him as a figure worth reflecting on. Although elected as a Prohibitionist MP, he took the Labour whip in the House of Commons. In terms of the left at the time his views were close to being mainstream, the STUC supported prohibition at this time. For much of the 1920s his fellow MP in Dundee was Tom Johnston, the future Secretary of State for Scotland during the Second World War. Johnston supported Temperance and he and Scrymgeour argued over the issue throughout the period. Scrymgeour wanted to ban alcohol, while Johnston wanted people to make their own decision not to drink alcohol. Johnston was successful in making his home town of Kirkintilloch a 'dry' town. Pubs only opened in Kirkintilloch in the 1970s. It is clear that these two stalwarts of the left tried hard to find a solution to the problems caused by alcohol and addiction in their day. They realised that alcohol could be the curse of the working man, or working woman and their families. They recognised the problems caused in society by alcohol. Alcohol has been joined by drugs in the twenty-first century and the problems caused by addiction continue to be a curse on many in our society. I think that this is an issue which the left should be looking for solutions for in the present day. The SNP Government has focused on the issue and their chosen solution of minimum pricing. Price is an issue worth looking at but minimum pricing will not solve all of the problems. Indeed prices in Scotland and prices in England are roughly similar but Scotland seems to have worse problems with alcohol than England. I think that we need to look at a wide range of issues and that changing the culture with regard to alcohol in Scotland should be the priority. This will not be easy but trying to find a way to deal with this issue is hugely important to the future of our country. Minimum pricing as currently proposed will add to the profits of supermarkets. This is such an important issue to the future of our country that there should be attempts to find a consensus on a wide range of measures which will deal effectively with alcohol abuse. Labour should reflect on the legacy of the Labour movement in the early twentieth century who saw alcohol abuse as one of the key scourges to be challenged in the new society they were trying to build. History does not repeat itself and the solutions of the 1920s are not the solutions for the present day; but perhaps we should consider the principles which inspired people in the past and apply them in a modern setting. There were meetings of the City Council and some of its committees tonight. The City Council considered a report about the boundary changes for Westminster elections imposed by the Tory-led government. The Environment Committee considered a report on the work of the former Dundee Contract Services, this is a good report but it will be a real challenge for the next six months to be as good. There was a report on improvements to play areas. I welcome this and I welcome the possible involvement of 'friends' groups in future renovations of play equipment but I stressed that this was not an alternative to the council. We should encourage local people to form friends groups related to parks, and give them some involvement in the running of the park but where this is not possible there should still be support from the council. At the Policy and Resources Committee there was to be a report on an extension to the teacher's early retirement scheme. This report was withdrawn at the last moment. This may well be as a result of the work of my colleague Laurie Bidwell who has pointed out that under the SNP Administration there are fewer teachers in Dundee, yet the SNP Scottish Government are threatening sanctions on councils which don't maintain teacher numbers. It will be interesting to see what becomes of this policy. In my ward in the West End we have a very active Community Council. I think that this makes the West End a better place and certainly on a number of community issues they hold local elected members to account. I was very disappointed to hear that Dundee has the lowest level of active community councils in Scotland. There are a variety of historic reasons for this but I will be asking the City Council what they are doing to ensure that more Community Councils are active in the city. I think that local government and importantly the Scottish Government should be supporting Community Councils. I know that the Association of Scottish Community Councils is to close next year over lack of on-going financial support from the Scottish Government. We need to develop more local accountability not let it wither on the vine. Remembrance Sunday began for me with the service at St Joseph's in the West End. I think that the War Memorial outside the church gives a fitting reminder all the time of the sacrifice made by many young people in the West End in the First World War. In the afternoon I attended the Royal Naval Reserve Remembrance Day Memorial Service on Her Majesty's Frigate Unicorn. The preacher at the service was the Archbishop of St Andrews and Edinburgh, Cardinal Keith Patrick O'Brien. Cardinal O'Brien preached eloquently. He mentioned his own family's involvement with the Royal Navy and his father's service on the Arctic Convoys. He spoke on the need to remember those who had given their lives in the service of our country. He also spoke about the development of Christian teaching with regard to war. He spoke about the need to work for justice and peace. In my previous job at Justice and Peace Scotland I worked closely with Cardinal O'Brien, and I know of his strong commitment to justice and peace. Overall over the past few weeks it has been good to see so many people recognise the service which veterans have given to our country and especially those who made the ultimate sacrifice for their country. It is important to remember those have served. We should continue to support the work of poppyscotland. This morning I was pleased to join hundreds of other Dundonians in marking the anniversary of the Armistice from the First World War. It was good to see so many people in the City Square today, including a good number of young people. Please support the work of poppyscotland. I am supporting the campaign run by the NSPCC called 'All Babies Count.' I am pleased that my colleague Jenny Marra MSP has highlighted this campaign in the Scottish Parliament. All babies need to be safe, to be nurtured and able to thrive. We must recognise that this is not always the case. Often the lifestyles of parents with substance misuse for example can have a detrimental impact on babies. Mental health issues can also be a problem for parents which impacts on babies. Domestic abuse is another factor which impacts negatively on the prospects of children. It is important that there is a level of investment in early years which allows these problems to be dealt with. The best place for children is with their parents, however we cannot allow parents health issues, or drink or drug habits or abusive behaviour blight the life chances of babies. We must as the jargon says 'get it right for every child.' Indeed we need to make that more than jargon but make it a key aim of people like me on councils and professionals right across the country. The video outlines the situation across the UK. Every child deserves the best start in life and it is wrong that for some their life chances can be decided at an early stage. All babies should count. On Tuesday evening I attended a meeting of the West End Community Council. The main item of business was a presentation from TACTRAN (Tayside and Central Scotland Transport Partnership) on proposals for a park and ride scheme to the west of Dundee. The two proposals are for one near the Landmark Hotel and the other proposal is for one near the Riverside Nature Park. You can see the business case here, pages numbered 33-37 or 37-40 of the pdf give a useful summary of the proposals. These proposals should have a positive impact on the West End by taking some traffic and parking off our roads in the West End which should be good for those of us who live in the West End. As a local representatives I am keen to hear your views about this, if you have any thoughts or questions about these proposals please get in touch with me. 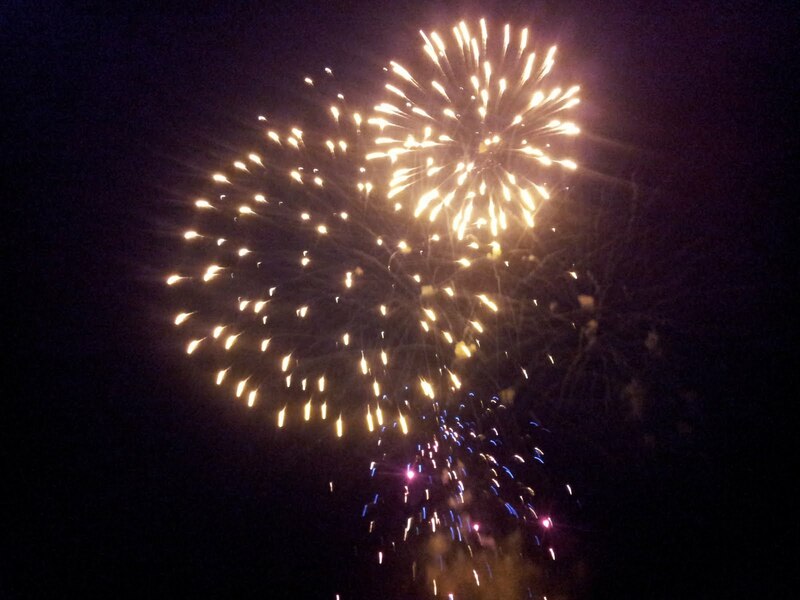 On Saturday evening I was really pleased to be able to get along to Lochee Park for the Bonfire Display. There were thousands of people there, reports suggest as many as 14,000, and it was good to see so many people having a great time. This is clearly a safe way to celebrate Guy Fawkes night and the display was spectacular. In Dundee it is great to see the public sector delivering such a popular community event for the people of Dundee. Well done to all the council workers who delivered such an enjoyable event. On Saturday I was at the Laying of the Crosses ceremony outside the City Churches. I placed my cross in memory of my great-uncle David McCready who died, as a result of an accident, during the Second World War whilst serving with the Highland Light Infantry. I also remembered my great uncle Bertie, who served with the Desert Rats and my great uncle Jack who served on the Arctic Convoys. I also thought of my grandad McCready who served in Glasgow with the Fire Service right through the Second World War and my grandad McDonagh who built tanks and served as an air raid warden. I thought of all those who serve our country and those who have given their lives. I also thought about my cousins who live in Germany today. This period of remembrance is important and allows us the opportunity to remember those who have given their lives for our country. It is also an important time to think about the importance of promoting peace and justice in the world. You can find out more about the work of poppyscotland here. Please support poppyscotland. Late last week I attended a meeting of the Harris Academy Project Board, this board is looking at progress towards rebuilding Harris Academy. I am clear that progress is required on this important issue. The Harris needs to be refurbished and I am prepared to work with anyone to ensure that young people in the West End and beyond have a school building that is fit for purpose in the 21st century. 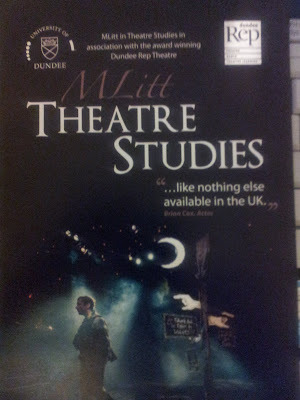 I was delighted to attend the launch of the MLitt Degree in Theatre Studies which has been developed between the University of Dundee and Dundee Rep. This is a really excellent initiative. It is great to see two Dundee institutions with a national and indeed international reputation joining forces to work together. Dundee-born actor and Rector of the University of Dundee spoke enthusiastically at the launch of the importance of this development. He was particularly keen to point out that this new degree was 'like nothing else available in the UK'. James Brining from the Rep and Prof Chris Whatley of Dundee University also spoke about the importance of this new degree. I hope that this is a great success and that many people will apply for this course. On Saturday I was lucky enough to see the latest Dundee Rep play Mary Queen of Scots Got her Head Chopped Off. This was a great play and was superbly acted. On Saturday I was delighted to attend the Consecration of the new Episcopal Bishop of Brechin, Dr Nigel Peyton. The ceremony took place in the beautiful setting of St Paul's Cathedral. It was a most impressive ceremony. It was great to see so many people at the ceremony. 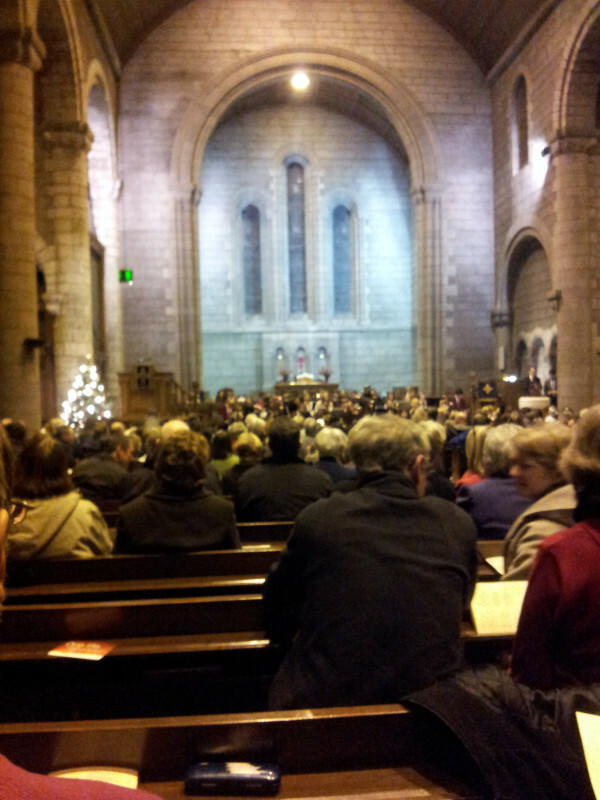 The picture shows the Cathedral prior to the beginning of the service. I'd like to wish the new Bishop all the very best of luck in his new ministry. You can read a fuller report on the ceremony on the excellent blog of the Primus of the Episcopal Church, Bishop David Chillingworth.